*With approved credit. Terms may vary. Monthly payments are only estimates derived from the vehicle price with a 72 month term 4.99% interest and 20% downpayment. *Available only to qualified customers at Fletcher Jones Imports. Advertised finance rate of 2016 C 300 with MSRP of $29,995. Total monthly payments equal $32,399.28 on 72-month term. $2,000 cash due at signing. Total payments equal $33,949.29 Includes destination charge. Excludes title, taxes, registration, license fees, insurance, any finance charges, any emission testing charge, dealer prep. and additional options. Subject to credit approval. No security deposit required. See dealer for details. Stock #17147DX. *Available only to qualified customers at Fletcher Jones Imports. Advertised finance rate of 2016 E 350 with MSRP of $34,995. Total monthly payments equal $37,800 on 72-month term. $4,000 cash due at signing. Total payments equal $41,275. Includes destination charge. Excludes title, taxes, registration, license fees, insurance, any finance charges, any emission testing charge, dealer prep. and additional options. Subject to credit approval. No security deposit required. See dealer for details. Stock #17146DX. Why Buy a Used Luxury Car? Browse our pre-owned vehicle specials to find a premium car with all the bells and whistles—for less. Then, schedule your test drive near Paradise and Spring Valley! One major benefit to buying used is access to certified pre-owned vehicles. These are special types of used cars that undergo extensive inspections, road tests, and vehicle background checks, per the Mercedes-Benz Certified Pre-Owned Program—one of the toughest in the industry. As if all that isn’t enough, you’ll also enjoy unlimited miles with all standard and extended CPO warranties! See a special offer on a Mercedes-Benz CPO you like? 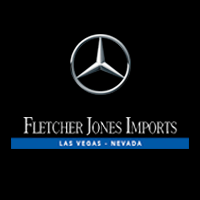 Visit us near Summerlin, or get the process rolling by applying for financing online!